The defect resulted in users being incorrectly informed that documents were successfully uploaded, when in fact the documents may have been rejected. These errors occurred from August 1, 2015 through December 21, 2015 and involved both the eBenefits and SEP portals. VA is unable to retrieve the lost records or recreate the content. VA was able to deploy a fix for the problem on December 21, 2015 and has identified the affected veterans in his or her corporate records. There are 9,300 affected veterans and 10,000 affected claims, involving approximately 80,000 documents. VA is currently working on supplemental development to affected claimants. 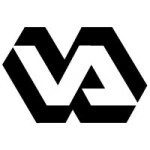 VA expects a development letter – a draft of which was provided to NOVA by VA and is included HERE (VDC Dropped Evidence Development Letter Final)– to be sent out to affected claimants and private representatives (where there is one) in early May. VA will send the development letter to the claimant and his or her private representative. VA will wait 30 days before making a decision. Supplemental development can be waived. Submission of additional records in this instance will not remove the veteran from the FDC program. The veteran/representative will need to send the first page of the development letter or statement affirming the evidence is a resubmission of lost documents with any evidence that is resubmitted. VA will take no further action until they receive a response; veteran will have one year from date of letter to resubmit evidence. In addition, Christi Greenwell, Assistant Director, Procedures, Compensation Service, is available to answer questions you might have about specific cases. She can be reached at [email protected]. Attached is the sample letter that should have been sent out to the affected group and their respective representatives.